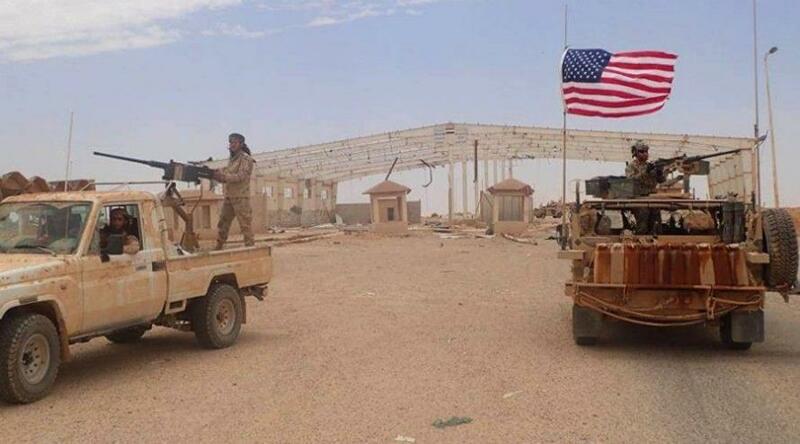 US special forces troops at al-Tanf crossing in southeast Syria. Image via al-Masdar News. Meanwhile concerning Russian military developments in Syria, a missile attack against Russia’s Hmeymim base by terrorists could be a staged provocation aimed at derailing the Syrian National Dialogue Congress to be held in Sochi, Foreign Ministry Spokeswoman Maria Zakharova told reporters at a press briefing. “On December 27, militants fired several missiles from the Bdama inhabited community at Latakia International Airport and the Russian Aerospace Forces’ deployment site in Hmeymim. Two of them were intercepted by Russia’s Pantsir air defense system, while the third one, deviating from the trajectory, landed in the outskirts of the city of Jebla,” she said. “We see yesterday’s attempt to attack the Russian military at the Hmeymim base as another link in the chain of ongoing and, perhaps, staged provocations involving terrorists and extremists from the Syrian opposition aimed at disrupting the positive trends in the development of the situation in Syria and, in particular, at creating obstacles to convening and holding the Syrian National Dialogue Congress in Sochi on January 29-30,” she said. Russia is concerned about terrorists in Syria getting new weapons, with which they shelled the Hmeymim airbase, Maria Zakharova pointed out. “Moscow perceived with concern this provocation [the shelling of the Hmeymim airbase] by terrorists. The Russian forces are reliably protected by the multi-layered air defense system, which has proven its high efficiency in this case as well,” the diplomat said. “What causes the concern is that terrorists are getting new armaments, which empower them to carry out such attacks. The question is where the terrorists are getting these weapons from,” the Russian Foreign Ministry spokeswoman said. “In this regard, we zoned in on the fact that a plane of the Syrian Air Force had been shot down from a man-portable air defense missile system (MANPAD) over northern Hama several days ago,” Zakharova said. “Therefore, the facts indicate that the support of terrorist units with armaments has not been stopped up to date,” the Russian diplomat said.